"8 bedroom cleaned from Aura Carpet Cleaning impressed with the service & clean." 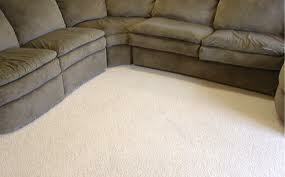 " Trustworthy reliable and amazing carpet cleaning results ." "Over 600sqms cleaned very pleased with the job ." Upholstery Cleaning is the most effective way of keeping your furniture like new and removing dirt and harmful pathogens to give your Upholstery the deepest clean possible we also take care of your delicate fabrics to ensure they maintain there color and original brightness and freshness. We then use our powerful airmovers to dry your upholstery to have it dry quickly and then groom your upholstery back to shape. Aura Carpet Cleaning we can safely remove and repel dust mites from carpets and fabrics for up to 14 months we use products that not only inhabit excrement but gets to the source of the problem by removing the mites altogether.to help you lead a allergy free life. Aura Carpet and Cleaning in Bristol are fully trained members of the nationally recognized NCCA who have 25 years of experience.